With over 130 million acres of farm and ranch land in Texas alone, well water is an important consideration for those lacking a constant supply of fresh water. Aquamate well water storage tanks are a durable water storage addition to your well water system, built to withstand the test of time. 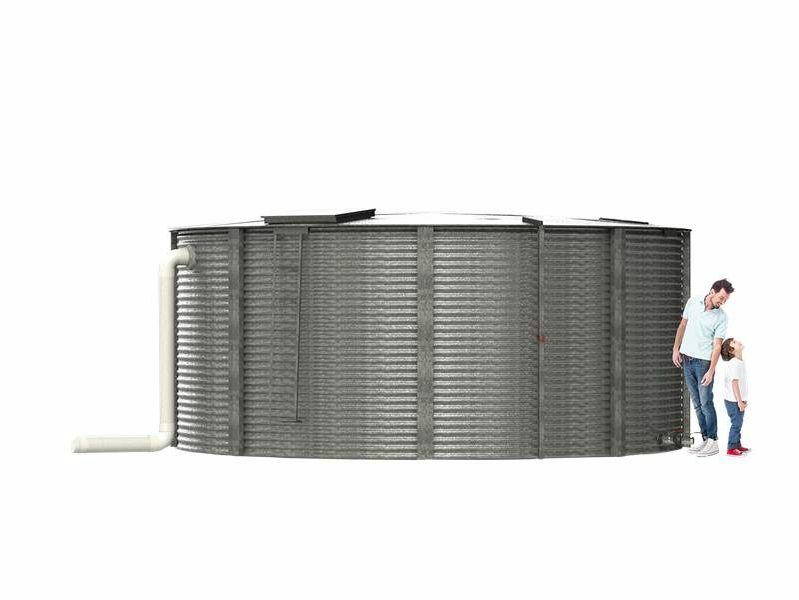 Whether it’s cattle or broilers, cotton or corn, Aquamate has the right size well water holding tank to facilitate the fresh water you extract, ready for use however you need it. 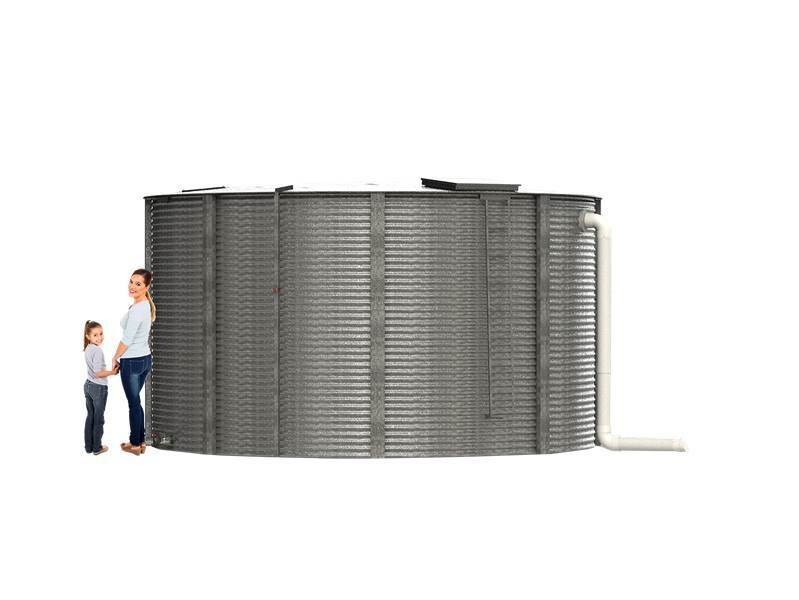 Our unique combination of lightweight, heavy duty galvanized, corrugated steel wall panels and flexible polyethylene tank liner allows Aquamate to offer premium well water storage tanks for sale at a very competitive price. An Aquamate well water holding tank, from 5,000 gallons to 102,000 gallons, is available via our authorized dealers. All of our tanks are installed by Aquamate trained and certified technicians, meaning you can be sure that your well storage tank will stand the test of time. 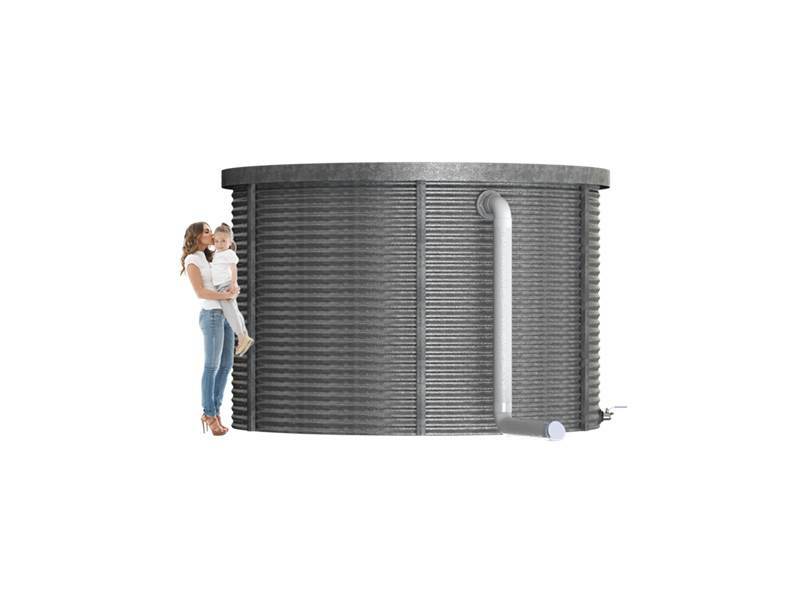 Our well water holding tank is available in nine standard sizes, from 130″ to 512″ diameter, giving you a range of sizes and volumes to suit your home, business, ranch or farm’s requirements. Lightweight steel panels and heavy duty galvanizing make Aquamate’s well water holding tank shells perfectly suited for water storage. Aquamate’s tank panels are covered with a galvanized coating that’s 1.45 ounces per square foot (G145) – the thickest advertised coating on the market. 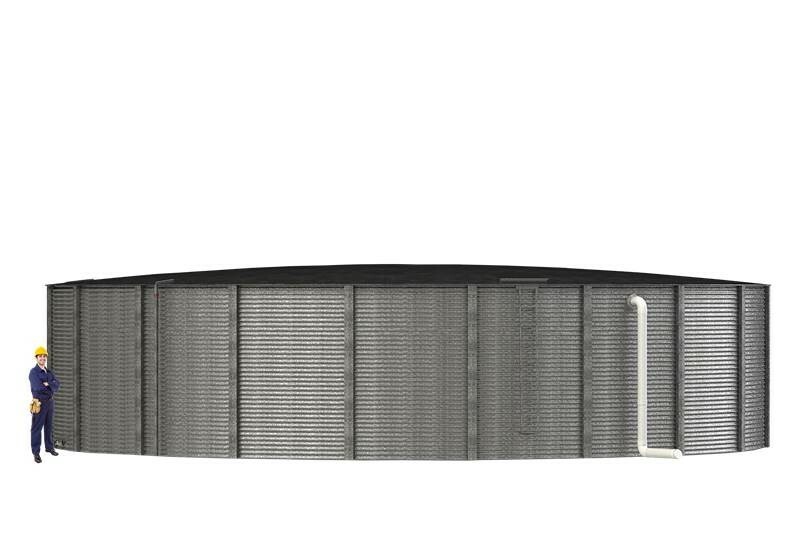 By using lightweight thin-gauge steel panels, Aquamate’s well water tanks have all of the required strength to resist water, snow and seismic loads without the excess material cost. Aquamate’s ‘No Service Costs’ Pro-Rata Warranty leads the industry and is supported by over 30 years of experience choosing the correct materials to survive the toughest conditions. 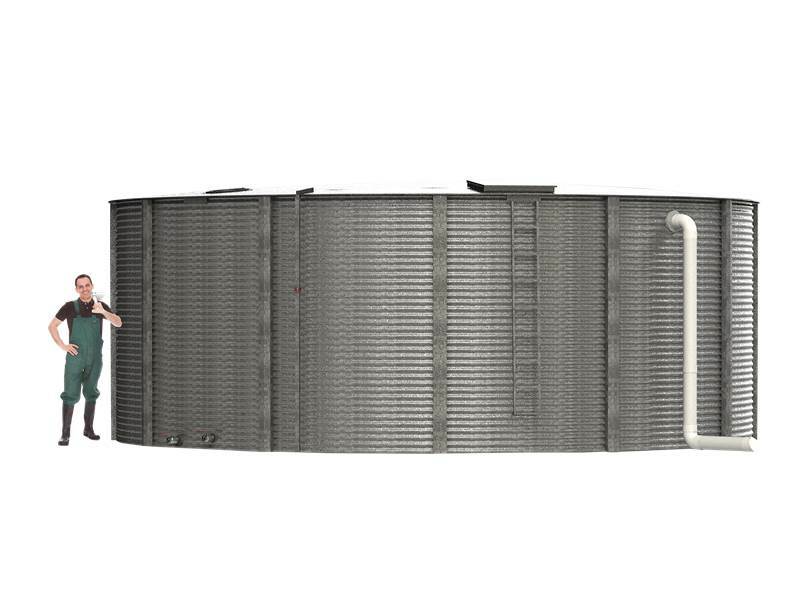 We use a BPA and pesticide free, solid food grade tank liner suitable for potable water use and certified to ‘NSF/ANSI 61:Drinking Water System Components – Health Effects’, as opposed to a coated mesh, because a solid liner is resistant to fatigue cracking and super stretchy – important characteristics needed for a durable well water holding tank. In some cases, the low flow rate of well water extraction means that you may need to add a water storage reservoir to your system. The addition of a storage reservoir can assist in normalizing water availability, especially if your well runs at reduced flow because of human activities or environmental factors. Whether you’re using state-of-the-art electronically controlled solar pumps or good ol’ wind power, Aquamate’s well water holding tank is an ideal solution as a reservoir. Being maintenance free, Aquamate’s galvanized well water storage tank is ideally suited to remote locations. 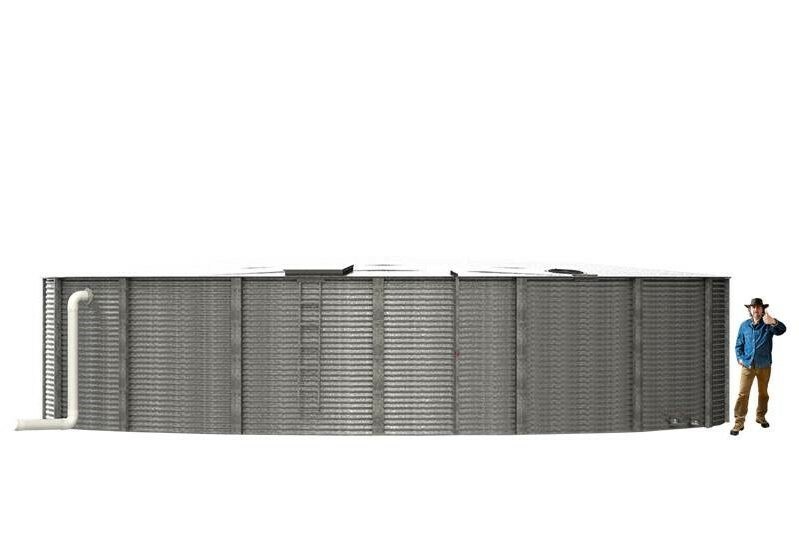 Our galvanized well water storage tank can feed directly into livestock troughs or be connected in-line into irrigation systems. Aquamate’s galvanized well water storage tank is a much better idea than most other water storage options. 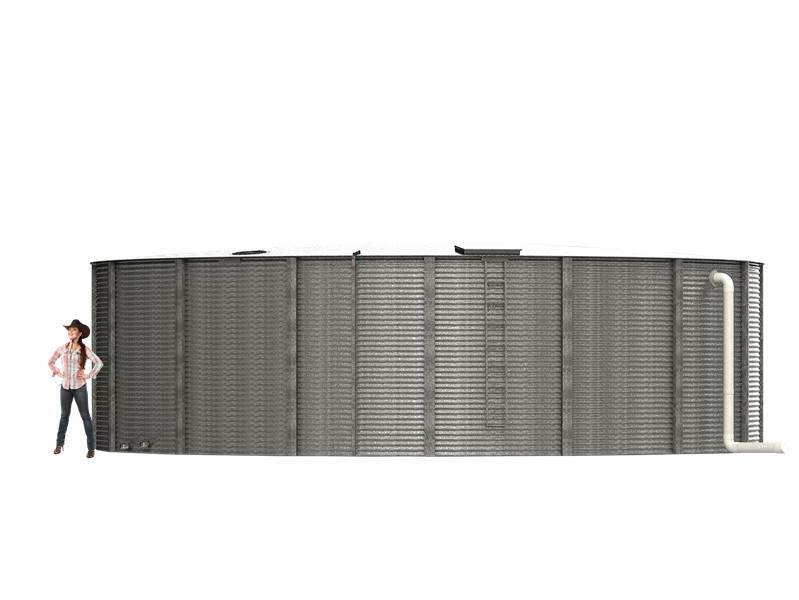 The domed roof on our well water holding tank eliminates the loss of water through evaporation, making them much more effective than regular dams or storage ponds. Unlike poly tanks, which can break down over time when exposed to sunlight radiation, Aquamate well water holding tank is resistant to UV radiation. Concrete tanks, while strong, are expensive to install and the walls can crack over time, especially as the ground underneath settles. Only steel combines the required strength while maintaining the toughness and flexibility required for long-term water storage. Well water quality may vary over time due to environmental and human factors. Aquamate’s advanced polyolefin liner materials are resistant to changes in water quality, temperature, and biological make-up. Aquamate always suggests you test your well water, especially for drinking water. The Texas Well Owner Network has some great resources regarding monitoring your well, including suggesting that you have your well water tested at minimum once per year. The heavy-duty galvanizing on our steel water tank panels make Aquamate’s shells perfectly suited to long-term water storage. Aquamate’s tank panels are covered with a galvanized coating that’s 1.45 ounces per square foot (G145) – the thickest advertised coating on the market. Our galvanized tank shell, along with our heavy duty polyethylene liner, is the reason we can offer our “20 year No-Service Costs” warranty on all of our galvanized well storage tanks when used for the storage of untreated natural water. 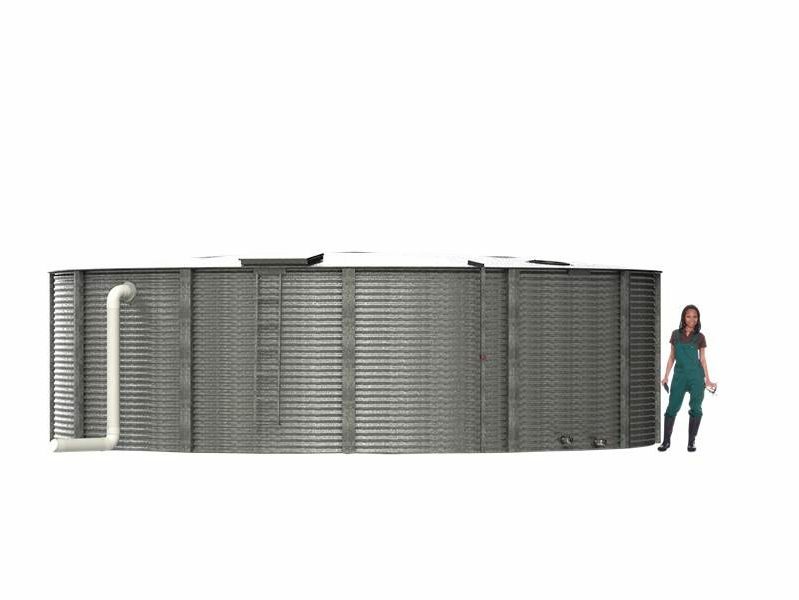 Aquamate’s galvanized well water storage tanks can also be combined with our unique Rainsaver rainwater catchment system, collecting additional water that falls on the roof of your well storage tank to supplement your well water. For more information on Wells in the state of Texas, see the Well owners guide to water supply. You can also find information related to Water Well drilling Here. Aquamate has been manufacturing well water tanks since 1986. We engineer well holding tanks from 5,000 to 102,000 gallons. 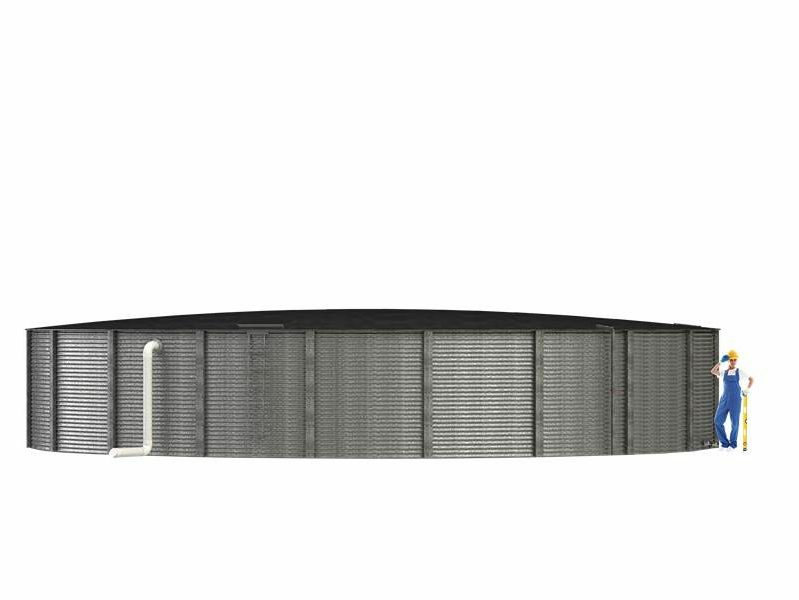 Our well water storage tank is engineered in a state of the art facility. For our well water holding tank, we use a galvanized tank shell, rather than a Zincalume shell, which means no sacrificial anodes. Our water tanks have three main applications. They are used as rainwater collection tanks, fire tanks, and a well water storage tank. 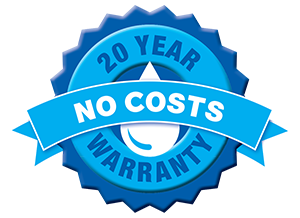 A well water holding tank from Aquamate has a 20 year “No Service Costs” Warranty.